St Palais is near Royan in the Charente Maritime Département of France. It takes 5 hours or less to drive there from St Malo; alternatively it is about 65 miles from Bordeaux airport. 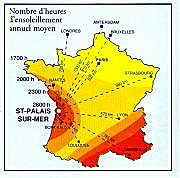 This part of france is statistically one of the sunniest areas as the sunshine map shows (reproduced from the brochure of the Auberge des Falaises which is next door to the apartment). The figures show the number of sunshine hours per annum. 2600 hours p.a. works out at an average of more than 7 hours a day! 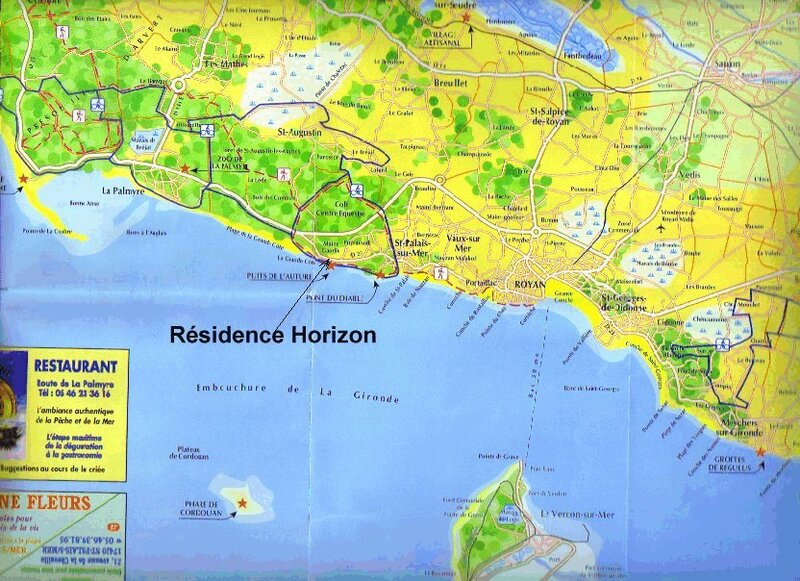 Map showing position of the apartment at Residence Horizon, St Palais relative to Royan and to La Palmyre. 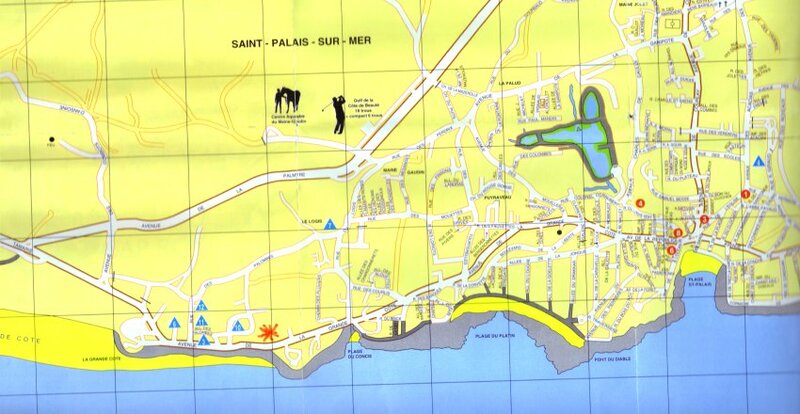 Map showing position of apartment (red atserisk) relative to St Palais town centre, to Plage de la Grande Côte and other beaches, to the Parc de Loisir and to the nearby golf course and equestrian centre.